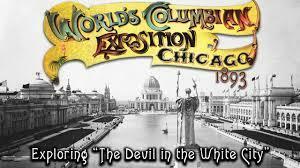 In 1893, The World’s Columbian Exposition (also known as the World’s Fair) was held in Chicago, Illinois. 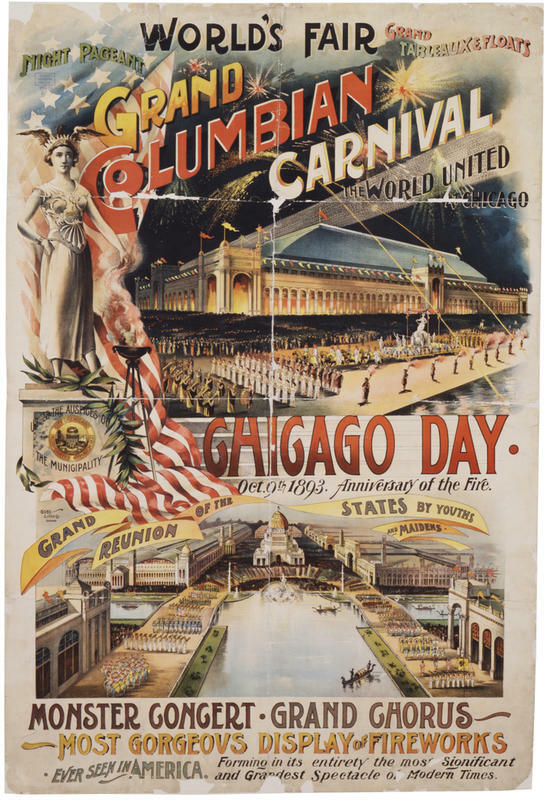 Although the United States had hosted World Fairs in the past, most notably New York City and Philadelphia, the 1893 Fair was the most significant and most important. Why was the 1893 fair so Important? The previous Exposition had been held in Paris in 1889, where the Eiffel tower was unveiled. The organizers of the Chicago Exposition felt they had to top the Paris event. 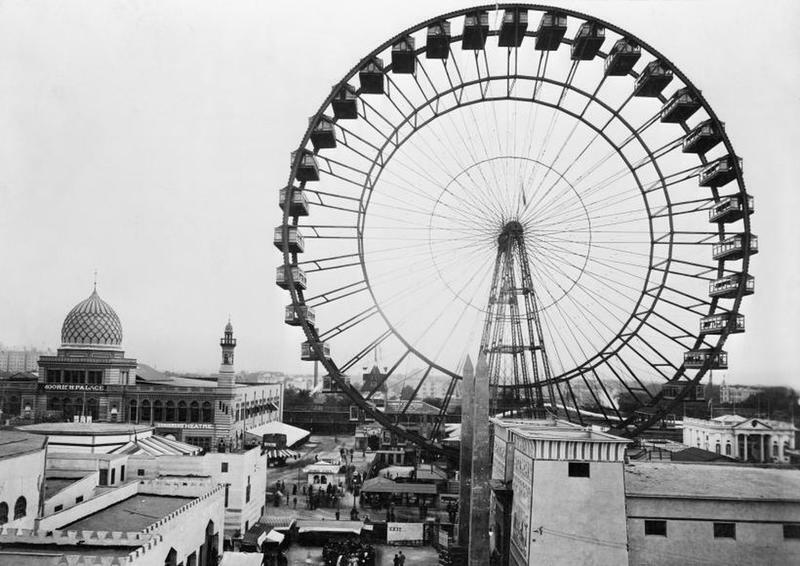 While they did not have a structure large enough to top the Eiffel Tower, the Ferris Wheel made its debut, the exhibits were more exciting than anything seen in the past. Plus, they introduced the midway, which is now a staple at all fairs across the country. It took three years and $28 million to get the Fair open. It finally opened on May 1, 1893. The Fair was open for six months and nearly 27 million people visited! The Fairgrounds were enormous, taking up over 600 acres of land, had 65,000 different exhibits, and restaurants with seating for 7,000. Many new products, familiar to us today, and inventions were introduced. 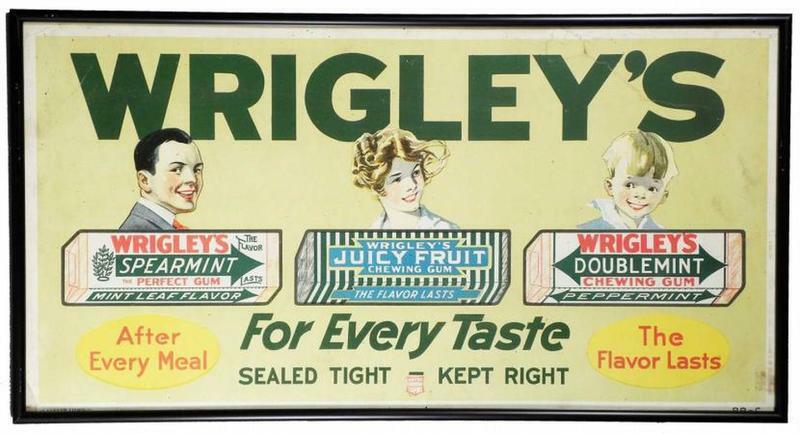 William Wrigley, Jr. handed out gum to sell his soaps and baking powder. The gum became the most popular item, so he began mass-producing gum and introduced it at the Fair. The first flavor was Juicy Fruit! Pabst Blue Ribbon Beer was another well-known product that made its debut at the 1893 Fair. 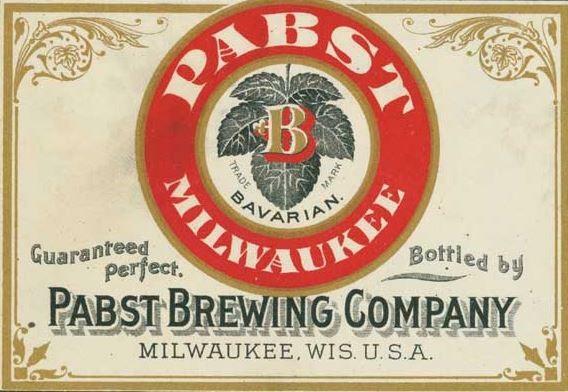 It was originally called ‘Best Select’ after it won the Blue Ribbon at the Fair, the Pabst Brewing Company changed the name to Pabst Blue Ribbon Beer. 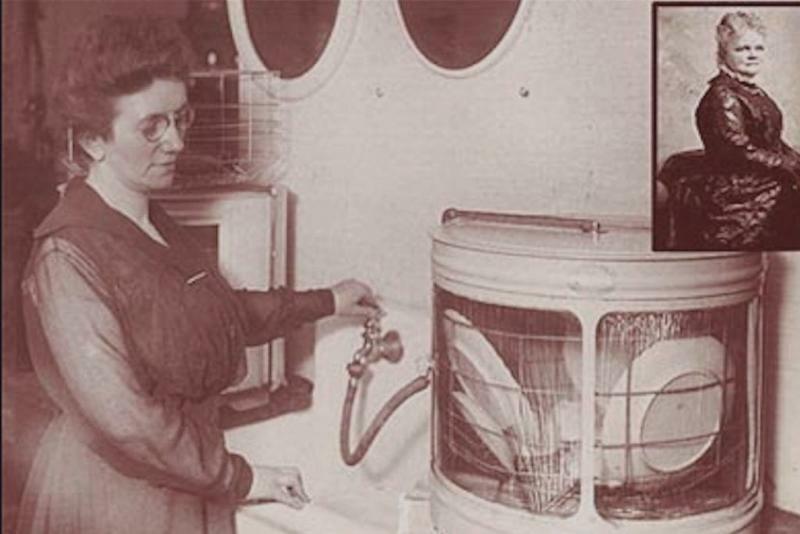 The first dishwasher was demonstrated at the Fair. Invented and patented by Josephine Cochrane, she brought her invention to the Fair. Her company, KitchenAid, took off from there. Thank you, Ms. Cochrane! Aunt Jemima Pancake Mix is another well known and still used today product that debuted at the 1893 Fair. 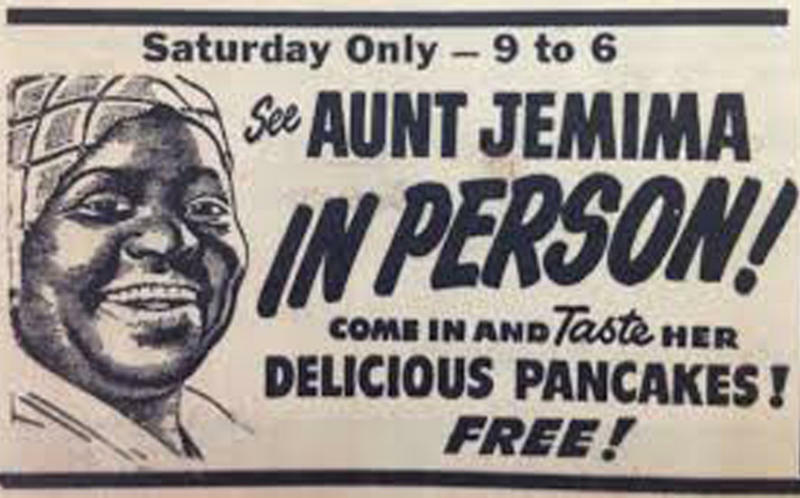 The original developers called it ‘Aunt Jemima” after a character in a vaudeville show. They went out of business in 1890 due to plain ignorance and lack of business sense. They sold it to another milling company and hired Nancy Green to play Aunt Jemima. She demonstrated the mix at the Fair and made pancakes for the public. The Quaker Oats company bought the brand and updated the image of Aunt Jemima. Why Don’t We Hear About World Fairs Anymore? After World War I, Large scale fairs lost their appeal and status. Of course, there have been World Fairs since WWI, but they were generally not commercially successful. The world had changed and it was easier for people to travel and see many sights on their own. Radio was very popular and people could hear about new inventions or news from foreign lands, instead of having to wait for a World Fair to occur. The tone of the Fairs has changed as well. They used to be exciting events to introduce new technologies to the public. More recently, the focus has been on the environment. 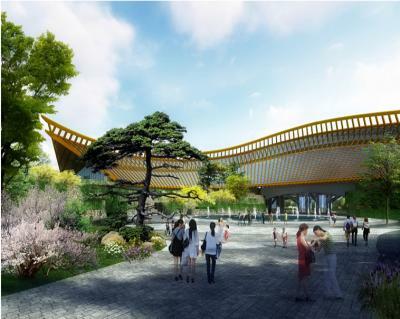 The next World Fair is in Beijing, China in 2019.